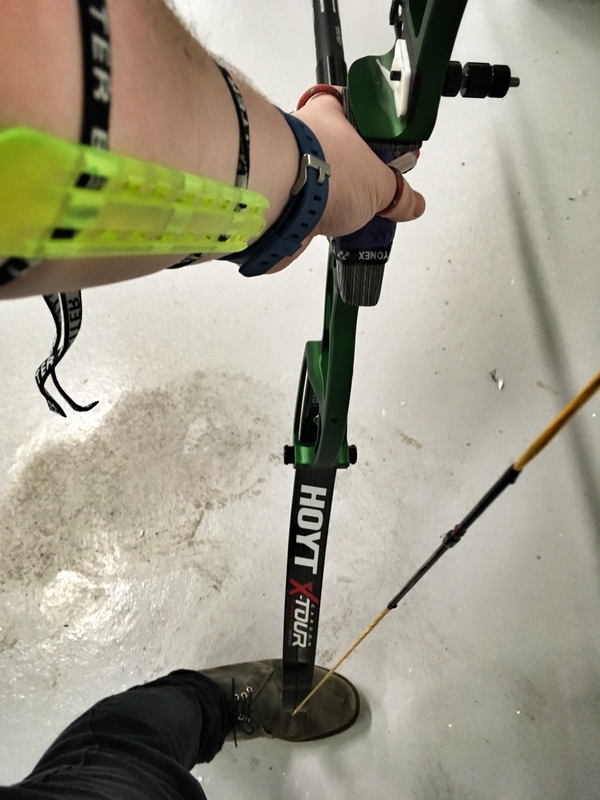 I’ve been writing about archery for five years now, but recently, not doing very much of it at all. 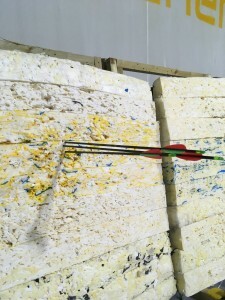 I wrote a while ago about trying to improve, before I got reminded of my status at the Lausanne Archery Classic. That’s all changed in 2017. I’ve caught the bug again. I know most of you out there are archers of one stripe or another, and if you are, you’ve probably run through the same gamut of emotions that everybody else has had. Incredible urges to go out and shoot, to get better, to master it. Getting home from a bad shooting session in a foul mood and throwing your bow into a cupboard for several weeks, or months – or even years. Sessions where you surprised yourself with inner strength and confidence. Sessions where you couldn’t hit a barn door if they stood it up in front of you. Fun sessions. Boring sessions. And everything in-between. I spent 2015 and 2016 doing scrappy, occasional hobby shooting at my club. Stick-flinging, in the British parlance, capped by a disastrous short metric competition at our local rivals last summer where I abandoned the last few ends rather than put any more arrows in the green. I realised that I needed to start from scratch. It was pointless to continue as I was without coaching, without structure – which raised another problem. I live in London, which is great for many things in life but isn’t the focus of archery in the UK, which is centred (roughly) on the Midlands. did this with a Samick Polaris, no clicker, at 18m. YEAH. Greater London boasts at least twelve archery clubs, but not a single archery shop. 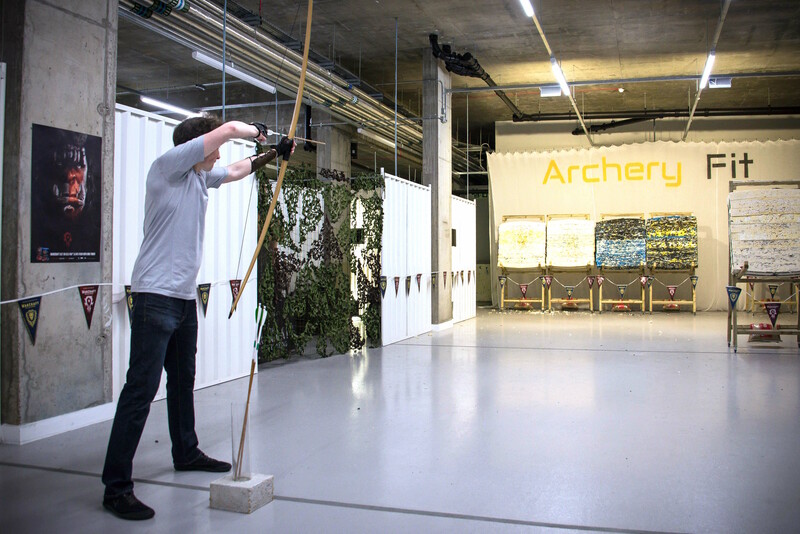 The slim margins and the need for a large range space preclude it, despite the fact that the demand to learn archery in London, since the post Hunger Games / London 2012 boom, has long outstripped the supply – the beginner’s courses at our club were booked up for two years in advance at one point. There are just a tiny handful of qualified coaches in the city, and most of them are busy or available only sporadically. Indeed, getting to higher levels in archery is something of a postcode lottery in Britain. You need to be lucky enough to be near a coach or a club with a deep tradition of coaching and someone with the time and energy to take you on. Good luck. Ultimately, the majority of archers after completing a beginner’s course are left to fend for themselves with a mix of the odd half-coaching session and ad-hoc advice sourced from club members, books and videos, and the internet. A handful each year go to the open residential courses at Lilleshall. Imagine if you had completed a six-week beginner’s judo course, graduated, and were sent on your way with a: “Great. Now go and make it to black belt on your own.” That’s the reality of archery tuition for most of the UK. Luckily, someone finally realised the pent-up demand for archery in the capital and opened, in 2015, the wonderful Archery Fit in Greenwich, on the river east of the city centre. 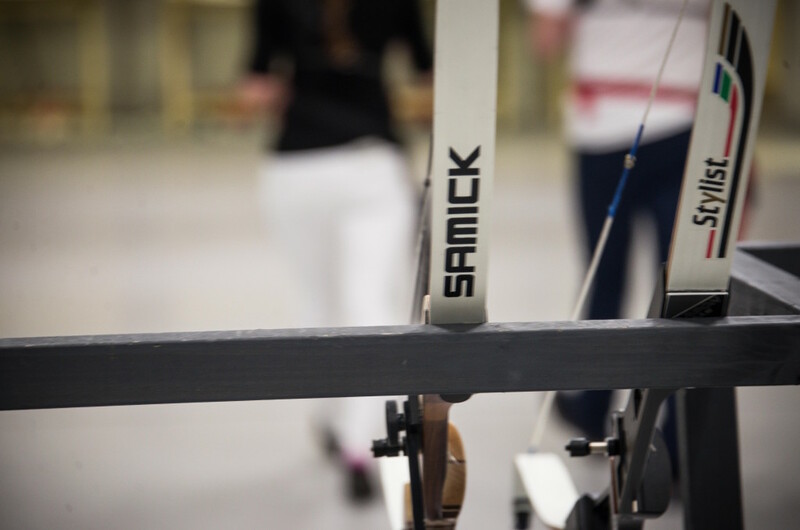 It is the first and so far the only dedicated commercial indoor range in the country where you can book a slot any time they are open, and they provide something else which is almost unique in the UK: bookable coaching, usually in small groups of just two or three. Roman and Kate, the transplanted Russians who built and run Archery Fit, aren’t keen on stick-flinging. Everyone who comes to the club gets taken under their wing, but it’s very clear this is not the casual, pinging-away pastime atmosphere of many UK clubs. 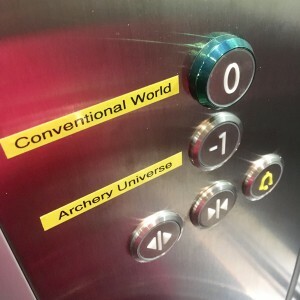 It’s a place to learn how to be an archer. In a gleaming, modern basement with plenty of light and space, they have built a club with atmosphere and style. There is an emphasis on formal, well-trained shooting with full warmups, but they’ve managed to keep a sense of humour about the place too. By accident or design, there’s a lot of recurve barebows around, although beginners are encouraged to try all bowstyles. 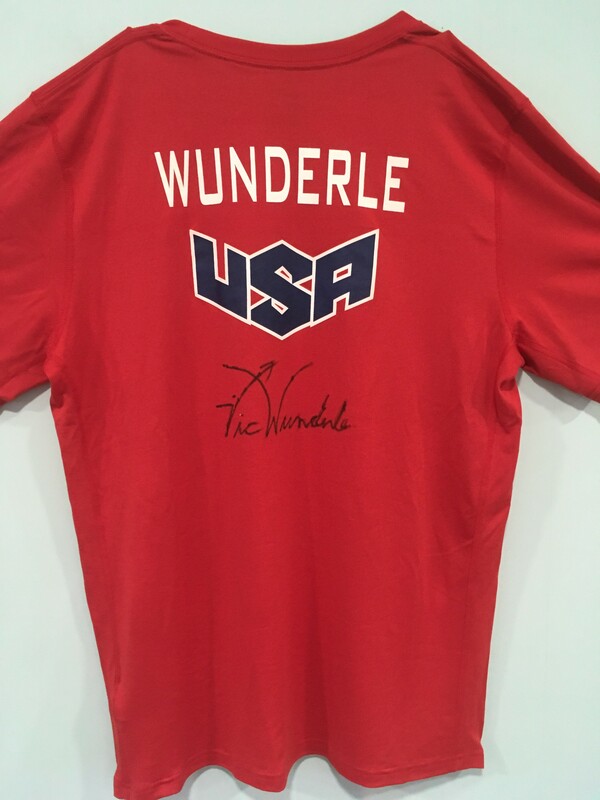 It’s seen a few luminaries since it’s been open: Vic Wunderle, whose shirt now hangs on the wall, and Natalia Avdeeva have made appearances. There’s a strong community spirit, and all levels at the place made a successful trip to the indoor nationals last year. I love my club and I’ll be there forever, but I feel like I’m part of this place now too. I have a coach. It feels odd just saying it. Kate Zalyubovskaya is a former Russian national champion. There is no doubt about what needs to be done. She saw what I had brought, and shook her head. Since December, she has rebuilt my recurve shot from a hotpotch of inherited ideas and oh-maybe-I’ll try-this into a formal, strong, upright delivery. There’s no hiding place. She spots everything; the tucking in of the head, a push out of the chest, even the tiniest pop of the fingers on release. Nothing is missed. I’m getting used to the wry smiles, and the cries of “elbow… head… focus…hold it!”. 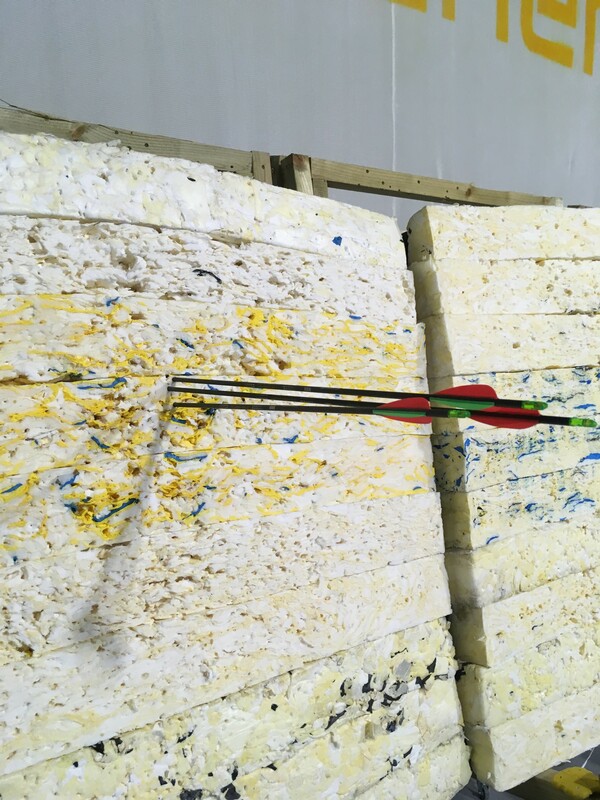 Better than that, with regular coaching I’m starting to figuring out what could be wrong before the arrow has left the bow; coming down and resetting rather than just letting it fly. The more garbage shots you can leave on the line, the better. There’s some way to go, but I no longer feel like I’m struggling with the bow, like it’s something I can’t control. The draw is starting to feel like I’m charging something with magic. The fourth or fifth arrow in a training end is still clumsy, but the first three are starting to fly confidently, with a snap. There are few things more satisfying than a consistent strong draw, releasing with confidence and hitting something like the mark, and the cyclical building of confidence that comes with that. More than that: I want to go and shoot now. I want to be there. I see it coming closer now. Being an archer, without that sense of feeling like an imposter. I know I’m not Tokyo 2020 material, but there’s some other goals that could be set. I’m not even scoring yet – coach says that’s further down the line – but I’m kind of itching to start. It’s part of me again, and you can take the confidence away with you. It’s something even more special that I remembered. 1. Kim Woojin (2011 world champion), who absolutely dominated the men’s division. 6. 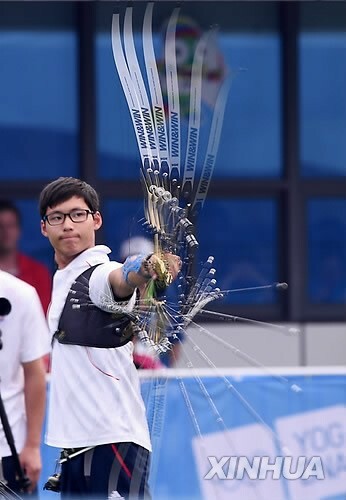 Lee Seungyun (2013 world champion) – had the top 70m score with 695. 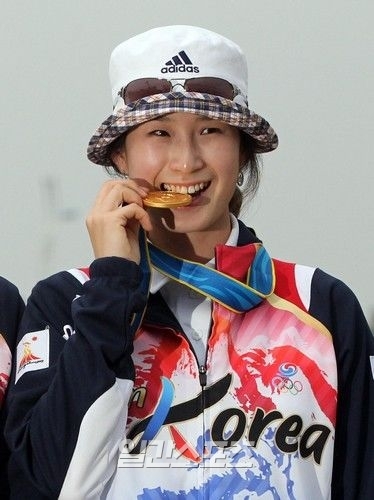 Archers who didn’t make the cut include veterans Yun Ok Hee and Joo Hyun Jung (who has apparently retired), and perhaps most surprisingly, Jung Dasomi, last year’s Asian Games individual champion. There are further warmup tournaments next month which narrow down the eight to a front-line four that will likely contest the big events. The biggest story of all is the triumphant return of Ki Bo Bae, after failing to make the 2014 squad due to a shoulder injury. She had maintained considerable form, managing to shoot a 1391 FITA last year for her pro team – even though a TV news piece at the end of last year hinted she might be retiring from international archery. Also, Im Dong Hyun, who was slightly in the wilderness in 2014, has achieved a truly staggering 13th consecutive selection for the national team. 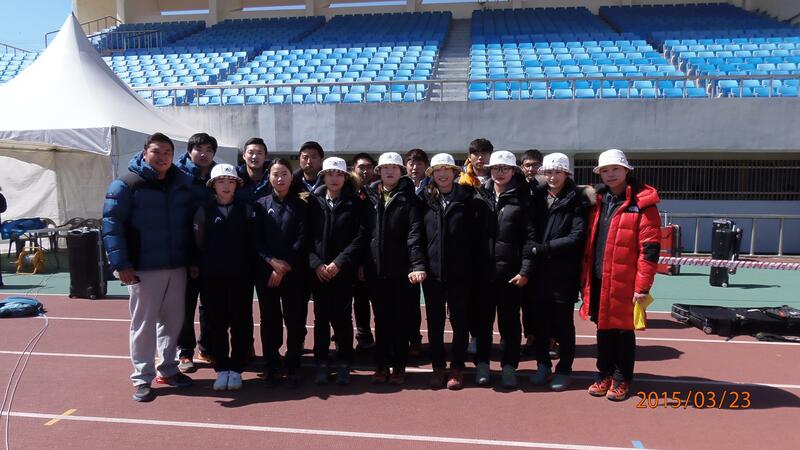 It’s an interesting mix of familiar faces, veterans and youngsters; the real ones to watch might be the young wunderkinds Choi Mi Seon, who was leading the ranking round for two days, and Youth Olympic champion Lee Woo Seok (who, rumour has it, scored 710 for a 70m round earlier this year). If they deliver this season, who would actually bet against an Olympic medal next year? News piece here (in Korean). It’s a sad day for The Infinite Curve when Ki Bo Bae, reigning Olympic champion, and number two in the world, hasn’t made it onto the Korean squad for this year, after failing to make the top eight during the selection shoot this week. Perhaps even more surprising, Yun Ok Hee, last year’s World Cup champion and world number one failed to make the top eight too. This means neither is likely to shoot in the upcoming World Cup events or the Asian Games this summer. The top eight in women’s recurve included some better known names like Joo Hyun-Jung and Chang Hye-Jin, and the men’s list was pretty familiar. But there’s a big Ki Bo Bae shaped hole in the calendar this year. It’s always difficult trying to pull information in English off the internet about Korean archers. I don’t think any of us who aren’t in the system have the faintest idea what it takes to get into, let alone stay in the Korean national team – it’s frequently described as ‘harder than winning the Olympics’. Even via the joys of Korean -> English machine translation, it’s pretty brutal. “Aces are eliminated, the Association recommends always talk [when] the national team players are out. Exceptions, but when you start putting it into a precedent. Principles as the existing players to get the stimulus, can be daunting to new players. Yun Ok Hee, and Ki Bo Bae also a star through such a process.” Ouch. The fact that the Korean sports press are asking these questions seems to suggest that the archery public are going to miss Ki and Yun, and there is a perception that the KAA should find a way to get them onto the team. It certainly would be a blow to the Asian Games to run a competition without two reigning champions in the ‘majors’. There is, however, a lot to be said for brutal transparency in sporting selection, given the opaque nature of the procedures employed by some archery NGBs and several other sports on a similar ‘level’ as archery e.g. this pre-London 2012 row over taekwondo. Still, looking forward to that comeback in 2015, otherwise I guess it’s back to the bizarre entertainment shows. Unless it’s time for that previously mentioned move to London? We can dream.